Many cash loan borrowers come to me asking about bad credit and how it can be removed from their credit status in the Philippines. The interesting part here is that knowing how to address the issue, I usually give clients the necessary information on how to deal with it and yes, even non clients just like tonight, i just gave tips and guide on how to get out of debt in the country to someone named Mr Carino. He thanked me all the time during our conversation as we ended up with me giving him the assurance that there is something he can do about it. In worse case scenario, if your cheque has been issued thru a loan program, opt in for loan restructuring in advance if you are qualified to apply 3-4 days before your cheque gets submitted to the bank for encashment. 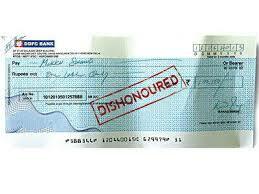 This is very critical so you have to really be aware about your incoming cheques to your bank that you have issued. You have to make a list, otherwise, you will have to ask the person you remember to have issued your cheque by calling. Issued cheques have at least 3 days clearing time so if you have issued a cheque, 3 days before it gets to the hands of the bank teller, call the issued party and ask them to hold on to your cheque and don’t deposit. Ask them politely and tell them that you have funds coming in later but be sure to replace the cheque and come over in person later. Don’t issue cheques on a certain date that you know you won’t be able to come up with the money or cash to fund your account to the bank just to cover up for a payment that needs to be settled. Instead, ask for a few more days allowance when you know you will have or is expecting to have funds to deposit in behalf of an issued cheque. Never commit on paying using your cheque book without any sufficient funds coming on the date your promised to deposit funds for your account. Don’t apply for a checking account if you do not have the money to pay for the maintenance and service fees to be charged under your account and name. Make things simple rather than complicate yourself on unnecessary financing accessories which do not apply to your current personal financial status. For those who didn’t know it yet, I am issuing these tips for education and optional purposes only. A court case is a court case wherever we look in to it and if you disobey these laws, you will have a case to burden your shoulder with for a lifetime unless you will settle it. Don’t forget to ask for a court case clearance from the financing company or person you owe it to. To the least, if it is a credit card related issue, you might want to get a certificate of full payment. Nothing is all too late if you know what to do in these times so don’t hesitate to ask me about it. I would be glad to help give you a loan restructuring program if it is necessary. Hi i have the same situation, i get stuck in debt, i wanna get out of this. While i was working here local, i was able to get nbi ckearence right away, i dont have hit , nothing. Until i decide to go abroad again.i knew the first time i went abroad i had paid some part of mynplacemnt fee thru ablending company and i got check signed before i left.i paid part of the loan, unfortunately the the company where i worked with was affected by recession. That was the time i struggled to pay all my debys, not just me but we, most of us. This happened in 2008.but i tried my best to pay my obligation, one time i sent payment thru a firend of mine, asked her to send paymnet to the acount, but i found out that my friend onky paid half of the amount of the check, so the check bounced. I want to pay it but i was afraid the amount would be very big enough already that i think i can no longer afford. In 2012, i went back abroad, i was able to get an nbi clearance. After 2 yrs , i went home and applied for nbi cleance again coz i needed to have it for a job, that happend in 2014, i was shocked when i got hit, and i need to go to quality control in the nbi main office to be cleared. Thats the time that i found out, i had a case filed at the trial court because of bounced check in 2011. Im not sure wat to do, but the nbi told me to go to the court and get PAO for help. I was pregnant back then so i just leave it as it is. Until i got a job. Now i want to go back abroad again, im hesitant because i cant get an nbi vlearance, i know i need to pay double my debt, and i dont have that money yet. I need to ho abroad to oay everything because i want my name to be cleared off. I dont wanna live in debt. I hipe you can help me. Good morning. My husband had a loan but was not able to pay for it. He wrote the lending company to restructured the loan but they did not.After that they sending him the total amount which 3x the total amount…the loan was 75k but less the interest…now the total amount is 187k. we are willing to pay but we are getting so much text ..
How can I file a bouncing check case ?